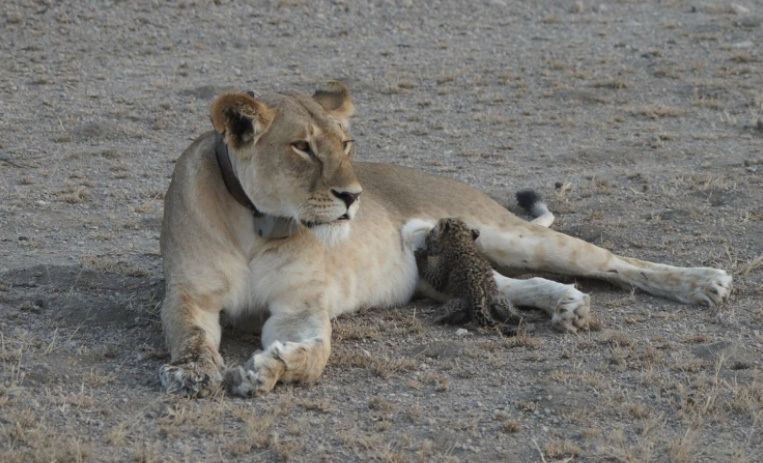 For the first time, a wild lioness has been photographed nursing a baby leopard. 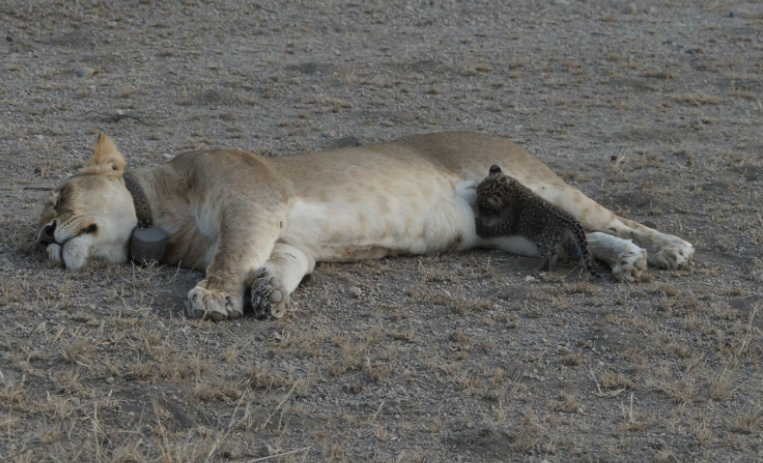 Interspecies suckling has been documented among captive animals, but this sighting is pretty much mind-blowing to lion experts. Typically, a lioness would kill a baby leopard. 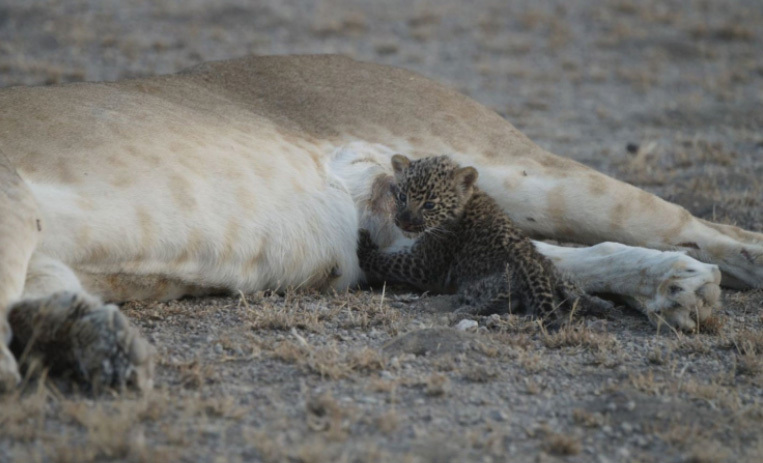 The photos were taken Tuesday by a guest at the Ndutu Lodge, a conservation area in Tanzania.